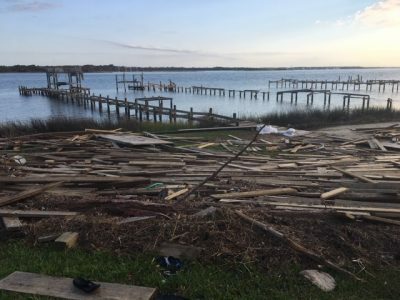 OCEAN – The North Carolina Coastal Federation is urging coastal property owners not to burn pressure-treated wood that’s among the debris left by Hurricane Florence. 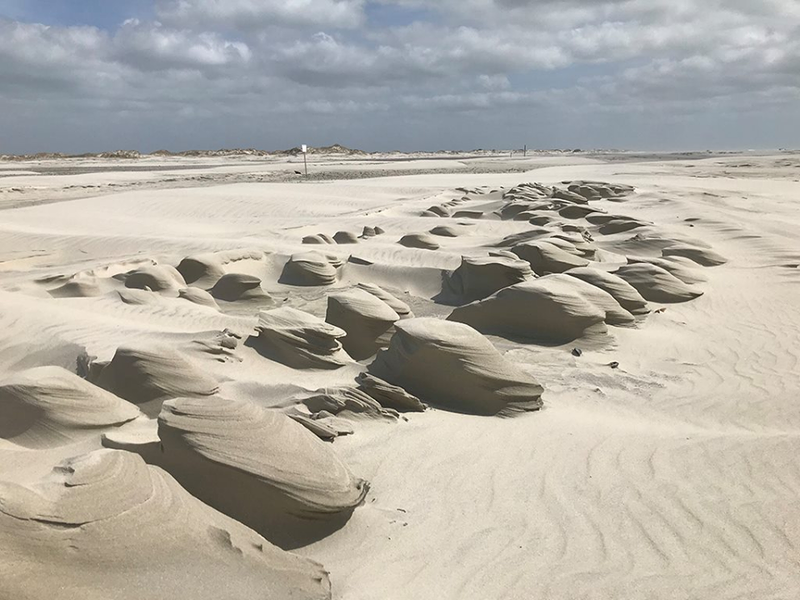 Florence’s storm surge destroyed docks, walkways and bulkheads along our coast, with much of the material left washed up in yards. Given that in places this debris is several feet thick and weighs many tons, many property owners are tempted to burn the wood in place rather than to go to the expense of removing it. “You need to know that burning this wood is illegal and doing so is dangerous to your health and the environment,” said Miller. Tags stapled to the ends of newly purchased pressure treated wood warn against burning it. 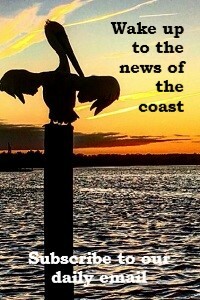 The preservatives used in wood for docks, seawalls and pilings is particularly toxic and dangerous to handle. Burning this wood can cause exposure to toxic ash and smoke that is harmful to both people and the environment. Instead, the wood must be taken to an approved construction debris disposal site. 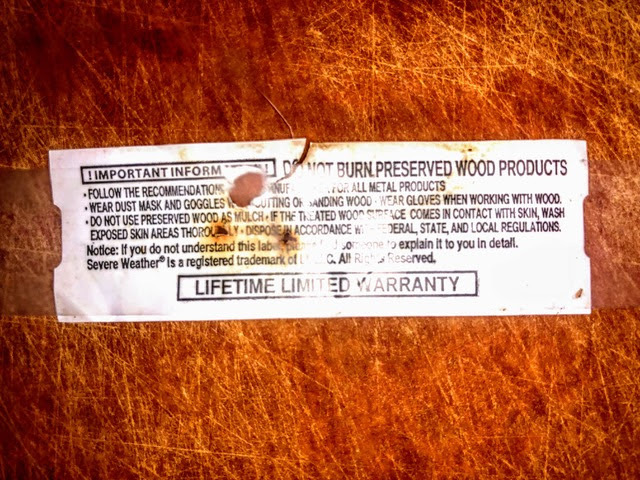 Tags stapled to the ends of newly purchased pressure treated wood warn against burning it. Incineration of treated wood does not destroy the arsenic and other chemicals it may contain. Pressure-treated lumber is considered hazardous waste by the U.S. Environmental Protection Agency. Burning wood treated with chromated copper arsenate releases the chemical bond that holds the arsenic in the wood and just one tablespoon of ash from the burnt wood contains a lethal dose of this poison. According to the Journal of American Medical Association, even minute amounts of the “fly ash” from burning treated wood can have serious health consequences. Arsenic gives no warning of its hazards; it does not have a specific taste or odor to warn you of its presence. The journal reported on a family that burned chromium-copper-arsenate treated wood in a wood stove for winter heating. Their hair fell out, all family members suffered severe, recurring nosebleeds, extreme fatigue and debilitating headaches. The parents complained about ‘blacking out’ for periods of several hours, followed by long periods of extreme disorientation. Both children suffered frequent seizures. The symptoms were finally traced to breathing minute amounts of arsenic laden dust. 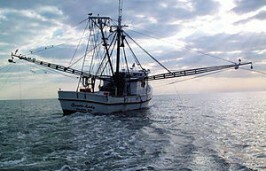 Burning treated lumber also introduces these chemicals directly into the coastal environment, creating hazards for fish and wildlife. Local governments have opened debris disposal areas and many local governments are picking up this debris at curbsides. The federation encourages checking with local authorities to determine the approved disposal options.